Italian sculptor, the most celebrated member of the family of artists. His father, Francesco Marinali was a sculptor. The family established a workshop in Vicenza and were active throughout the Veneto in the late 17th century and early 18th. 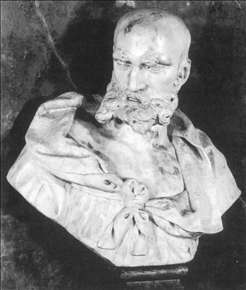 Orazio Marinali trained in Venice with Josse de Corte, the leading sculptor in the city at that time, whose dramatic power and feeling for chiaroscural effects Orazio adopted. De Cortes influence is to be found most clearly in Orazios early works, such as the marble statues of the Virgin and Child with SS Dominic and Catherine (1679), made for the altar of the Rosary in S Nicolo, Treviso, and the Virgin and Child with Saints, Angels and Putti, made for the cathedral in Bassano del Grappa. Orazio became a prolific sculptor of religious works, and he was active in towns throughout the Veneto. Most of his works are initialed O.M. . Although he collaborated with his brother Angelo on numerous occasions, Orazio remained the dominant partner. In 1681, for example, the city of Bassano del Grappa commissioned from both Marinali brothers the statue of St Bassano, the citys patron saint, for the main square (in situ). One of Orazios own particularly successful projects was his decoration for the church of S Maria di Monte Berico, Vicenza, executed between 1690 and 1703. Here he provided numerous imposing statues of saints and reliefs in pietra tenera (a soft limestone from near Taranto) for the exterior and stucco figures of four prophets and marble Holy Water stoups for the interior. In 1704 he completed the high altar of S Giuliano, Vicenza, with marble figures of the Risen Christ with Saints. Nearly all the sculptures there are signed by him. He later (1715-17) executed the marble figures of the Guardian Angel and the Angel Gabriel for the altar of SS Sacramento in S Giovanni Battista, Bassano. See more details about "Bravo"